Kayaking is a really great experience. It not only introduces the girls to a new skill but shows them they can accomplish something they probably thought they would never be capable of. I believe it is important for girls of this age to work together and have fun. This course exceeded my expectations in both teamwork and fun! Thank you! 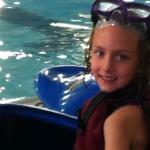 The girls had an absolute wonderful time at the Paddle Safety class. You represented your sport well with the girls and it shows through their enthusiasm. Good Job! You guys rock!!! I couldn't wait another minute to tell you how much fun the girls had last night! What a great lesson! We didn't even need the games because they enjoyed what they were doing so much. One of the coolest things was seeing girls who were a little bit timid, feel comfortable enough to try things that they normally wouldn't have tried. What a great time! Well done all! 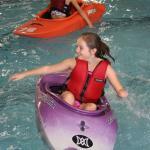 It's not about kayaking...it's about overcoming fears, building courage and self confidence! My girls were Brownies. From a leader perspective, I wanted to see something fun, and that would build confidence. This was one of our first real "outings" as a Girl Scout. I was looking for something "different", something with a sense of adventure/out of the ordinary (something they don't do everyday) but controlled and safe. I also wanted something a bit challenging - physically, but also something they hadn't done before, something that would build confidence. This really fit the bill perfectly. They didn't' want to get out of the pool! 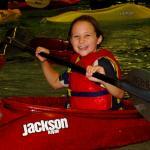 Kelly is someone who knows the sport of kayaking and is able to teach in a safe, effective and fun way. 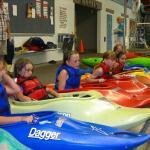 Not only did the girls have a total blast, but they learned the names for all parts of their kayak and equipment, how to safely enter and exit a kayak, how to help someone else who may be in trouble, what to do in inclement weather and how to best move through the water (to name a few). 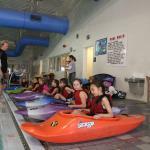 We had our last Girl Scout meeting of the year last week, and when I asked the girls what their favorite experience was over the last 3 years, 75% chose kayaking. I would highly recommend Kelly to anyone and would be happy to answer any questions you may have.